Days before NAB 2019 officially opens, Panasonic has announced two new additions to the Lumix family. First up is the G95, a well-rounded, mirrorless camera that can serve many functions, and features 4K recording, pre-installed V-Log L, and a 3.5mm microphone jack. The Lumix G95 can work as an everyday camera for hybrid photographers and vloggers. But more than that, Panasonic has also announced the new G VARIO 14-140mm Telephoto Zoom Lens with f/3.5-5.6 II ASPH, with a mirrorless Micro Four-Thirds mount and power OIS. The Lumix G95 combines several features to produce outstanding images. First, the camera’s Four-Thirds 20.3-megapixel sensor is built without a low-pass filter, which ultimately allows it to create detailed shots with accurate hue, saturation, and brightness. 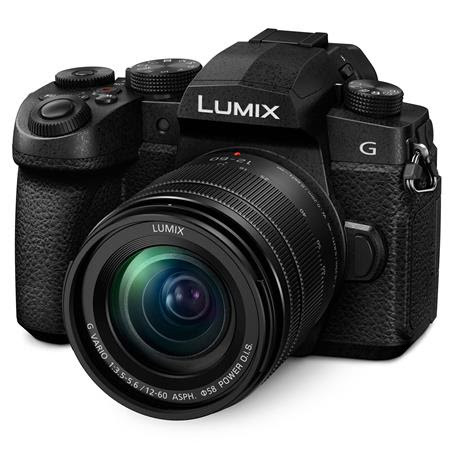 Second, the camera comes with a LUMIX G lens with a low aperture of f/3.5-5.6 and a maximum ISO of 25600 to properly handle low-light situations. Lastly, the G95 is designed with 5-axis image stabilization, two different AF settings, and DFD (depth from defocus) technology to rid all photos of motion and focus blur. Conveniently, the G95 can also function as a professional video recorder. The new Lumix can record in 4K at 24p/30p, and Full HD at 50p/60p, if users require smoother motion. Thanks to the features mentioned above, AF tracking during video recording is fluid and glossy. If you have a portable monitor or screen handy, even better — the G95 has an HDMI output capable of real-time monitoring in a 4:2:2 profile. The Lumix G95 was made with a 3.0-inch LCD touchscreen monitor that flips out for easy viewing whether you are behind or in front of the camera. The new mirrorless camera can also connect to Bluetooth and WiFi so users can quickly share their content via the Panasonic Image App. And finally, the camera is dust- and splash-resistant. The Panasonic Lumix G95 is available for preorder now for $1197.99 at Adorama. 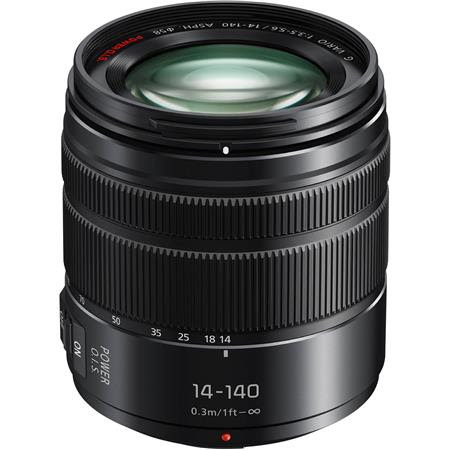 An upgraded version of the Lumix 14-140mm F3.5-5.6 telephoto zoom lens, this new lens boasts a Micro Four-Thirds mount is compatible with the cameras that carry the same, including the entire Lumix G series. The lens, like the G95, is dust- and splash-resistant which makes it fit for outdoor use in the field, and can capture landscapes, portraits, and everything in between. The lens’ optical image stabilizer makes shooting in low-light situations a breeze, as it compensates for quick and minute movements, and thanks to the 14 elements in 12 groups (as well as three aspherical and two ED lenses), it minimizes any distortion and aberration. Finally, the metal mount and coating keeps ghosting and flare to a minimum. Previous Post Previous post:EGaming, the Humble Book Bundle: Microsoft & .NET is LIVE!